Man, CVS was SLOOOOOW for couponing this week. I had three deals that I wanted to do when I headed to the store on Wednesday and NONE of them worked out the way I wanted them to. I honestly didn't even take a picture of my Wednesday haul because it was small and I was just irritated. I used a $4 ECB and a 25% off coupon that took off $1.64. My total OOP was $1.23 and I received $1 back in ECB for the Jergens. According to 2littledollzdeals, the Jergens 3oz was supposed to be tracking for the buy 2 get $5 ECB back, which would have made this a GREAT deal, however it was not working and it instead tracked for the travel size promo and I only got $1 ECB, not great. I also got confused and bought a Hershey bar thinking it was part of the buy a candy bar for 75 cents, get 75 cent ECB back, but it was not. That was my own fault. Oh well, I ate it anyways. The last deal was another deal I heard about from 2littledollzdeals, for the Neutrogena 10z sunscreen. It would have been a moneymaker, if I had been able to find it, but this CVS didn't have it. I used $25 in ECB, making my total OOP $1.69. I used all my ECBs, and received 75 cents in ECBs back. Not bad, because I definitely needed sunscreen! 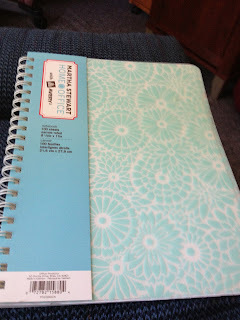 used $6.99 in Staples Rewards- making this FREE! Not an amazing week by any means, but I hope that next week will be a little bit better in the couponing department!